Louisville, KY (June, 26, 2018) – Owen County high school junior Hannah Johnson recently returned home from Kentucky Farm Bureau’s Institute for Future Agricultural Leaders (IFAL). Johnson and 45 other high school students from around the state attended the five-day summer leadership conference, held June 17-21 at the University of Kentucky. 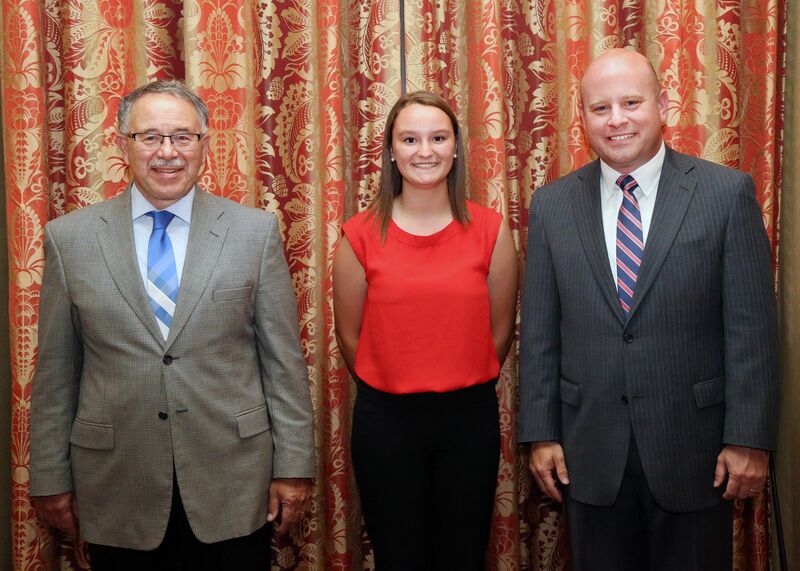 Hannah Johnson (center) is pictured with Dr. Larry Grabau, Associate Dean for the University of Kentucky College of Agriculture, Food & Environment (left) and Matthew Ingram, Assistant to the Executive Vice President and Director, Organization Division, Kentucky Farm Bureau (right), during the 2018 Institute for Future Agricultural Leaders (IFAL) at the University of Kentucky.